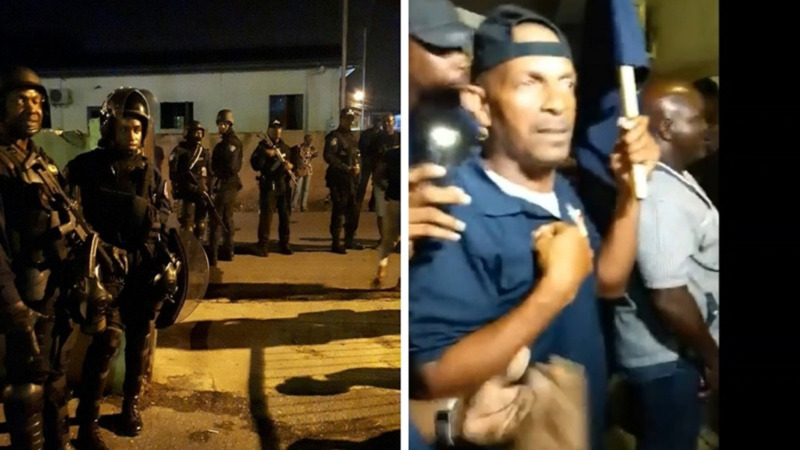 Photo: A strong police presence was visible on Tuesday night in Marabella outside of a PNM meeting where OWTU members were barred from attending. The OWTU said it will be holding its own meeting on Wednesday night where all will be welcome and no one will be turned away. Photo via Facebook. The Oilfield Workers' Trade Union (OWTU) said the barring of members from a public PNM meeting in Marabella on Tuesday night is a clear sign of a dictatorial government. Speaking to LoopTT, Chief Education and Research Officer Ozzi Warwick said Tuesday night's actions are a clear indicator of a dictatorial government, adding that even after repeated requests, no clear reason was given for barring persons from the meeting, which took place at the Marabella Community Facility. 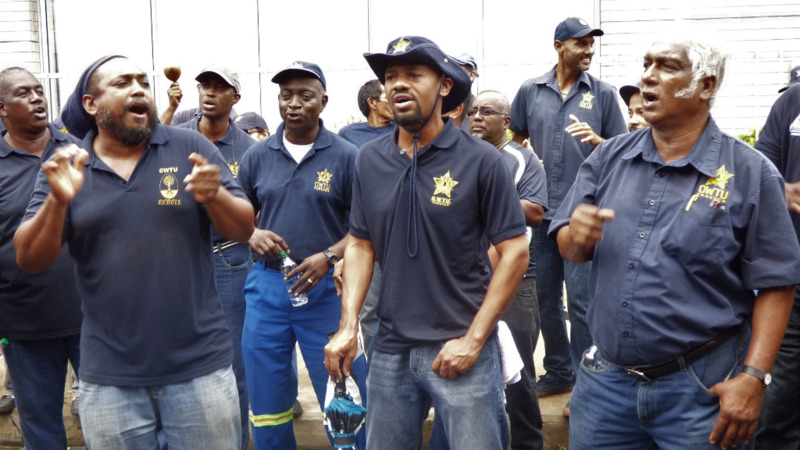 Video footage showed members wearing OWTU shirts blocked by a wall of police officers and senior police officers, as union members repeatedly asked why they were barred from entering the compound. "More and more this government is showing themselves to be dictatorial, this was advertised as a public meeting, an open forum, they were not causing a public disturbance and were acting in accordance with the law. This is a violation of their human rights." "This meeting was clearly only for party members, they were given no excuse whatsoever as to why they could not enter the meeting. Comrades kept asking why, and they refused to give any explanation," Warwick said. He added that the scheduled day of rest and reflection carded for September 7 was not scheduled as a result of the Petrotrin announcement but had been arranged since Labour Day this year to address a range of issues. "May I remind people that September 7 is not just about Petrotrin, we announced that since Labour Day but this government has exacerbated the situation with their announcement (on the refinery shutdown)." "September 7 was organised in order to address numerous issues concerning bad governance. This is just another example of how the government is operating," he said. The OWTU will be having a public meeting at Marabella Main Road on Wednesday evening at 6:00 pm, and Warwick said at their meeting no one will be turned away. "We will be having our own meeting in Marabella at 6:00 pm and unlike the PNM, everyone is invited, no one will be turned away," he said. Up to Wednesday at 10:00 am PNM Chairman and Energy Minister, Franklin Khan, did not respond to phone calls and requests for comment. Trade unions across the country have urged members to have a day of 'rest and reflection' on Friday, September 7 in order to bring attention to various issues including Petrotrin's planned shutdown, which will result in 1,700 workers being retrenched and another 800 workers affected. Public Administration Minister Marlene McDonald warned that public service employees who stay away from work may be recorded as absent without pay, and added that workers in essential services (prisons, police, teachers etc.) could be fined and jailed for staying away from work. 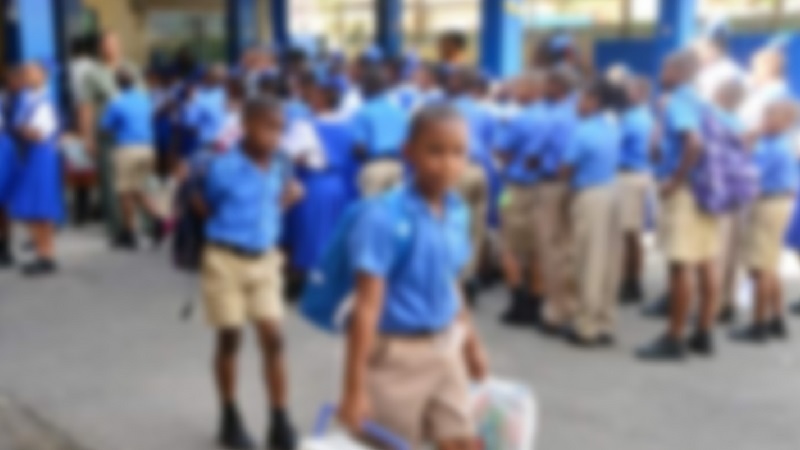 The Trinidad and Tobago Unified Teachers' Association (TTUTA) responded that teachers are entitled to leave under the Education Act. Meanwhile, Education Minister Anthony Garcia issued a stern warning that teachers who stayed away from work on Friday may be committing an 'illegal act'. Quoting from the Industrial Relations Act 88:01 Sec 69, the Education Minister noted that members of the Teaching Service are not permitted to engage in any industrial action and is liable on summary conviction to a fine of $500 and to imprisonment for three months. 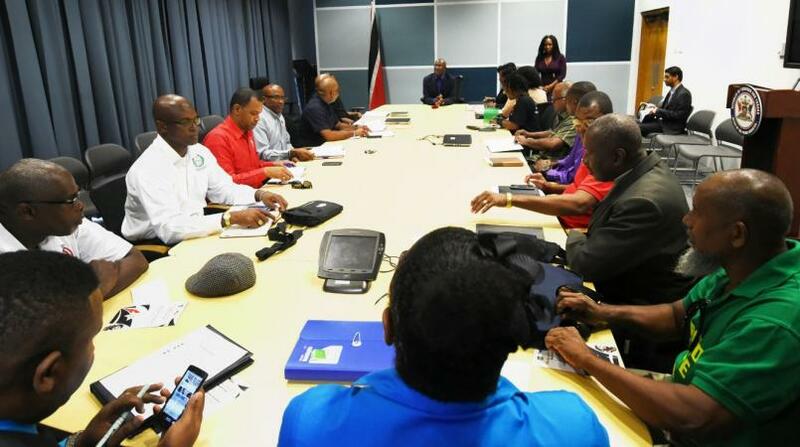 Trade union members met to discuss issues after Petrotrin's board announced the shutdown of the refinery in August due to existing and pending debts amounting to billions of dollars. According to information released by the board, if Petrotrin is unable to service its bond payments, Trinidad and Tobago’s sovereign credit rating could be negatively impacted. Petrotrin will meet with all of its stakeholders during the coming weeks to discuss the proposed changes, pending the transition which begins from October 1, 2018.